The Brain That Changes Itself: Stories of Personal Triumph from the Frontiers of Brain Science | Free eBooks Download - EBOOKEE! Posted on 2012-11-06, by Cesc0405. For years the doctrine of neuroscientists has been that the brain is a machine: break a part and you lose that function permanently. But more and more evidence is turning up to show that the brain can rewire itself, even in the face of catastrophic trauma: essentially, the functions of the brain can be strengthened just like a weak muscle. Scientists have taught a woman with damaged inner ears, who for five years had had "a sense of perpetual falling," to regain her sense of balance with a sensor on her tongue, and a stroke victim to recover the ability to walk although 97% of the nerves from the cerebral cortex to the spine were destroyed. Copyright Â© Reed Business Information, a division of Reed Elsevier Inc. All rights reserved. --This text refers to an out of print or unavailable edition of this title. "Mind-bending, miracle-making, reality-busting stuff with implications for all human beings." "A remarkable and hopeful portrait of the endless adaptability of the human brain." "The power of positive thinking finally gains scientific credibility." 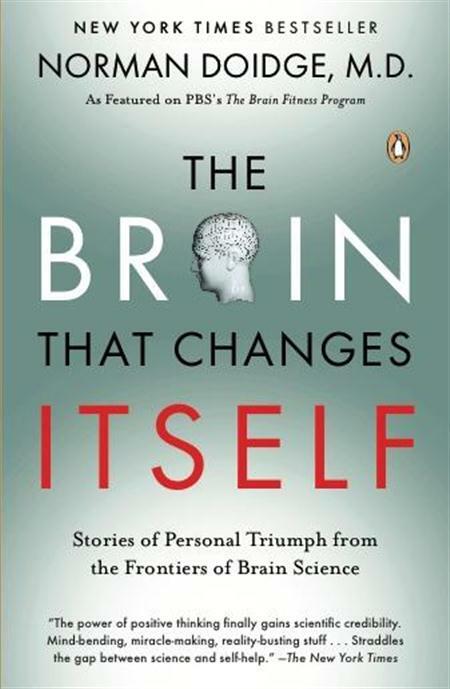 No comments for "The Brain That Changes Itself: Stories of Personal Triumph from the Frontiers of Brain Science".